I love the run up to Christmas! 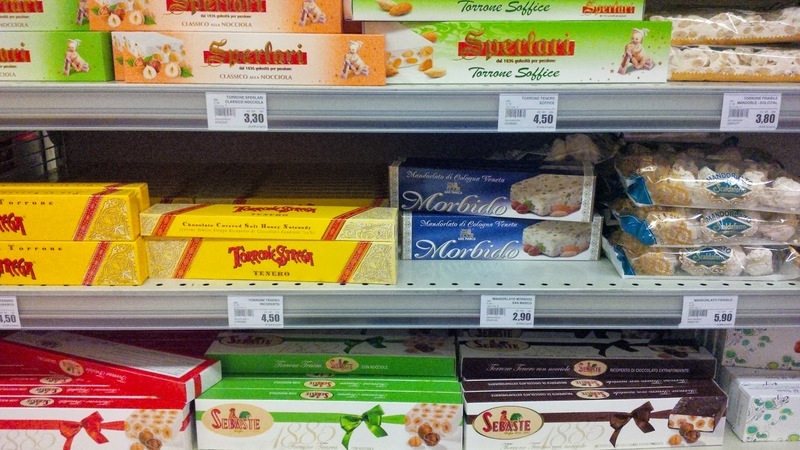 In England, where we lived up until August 2014, though this period of festive preparations starts earlier and earlier each year and it’s driven largely by massive commercial interests. 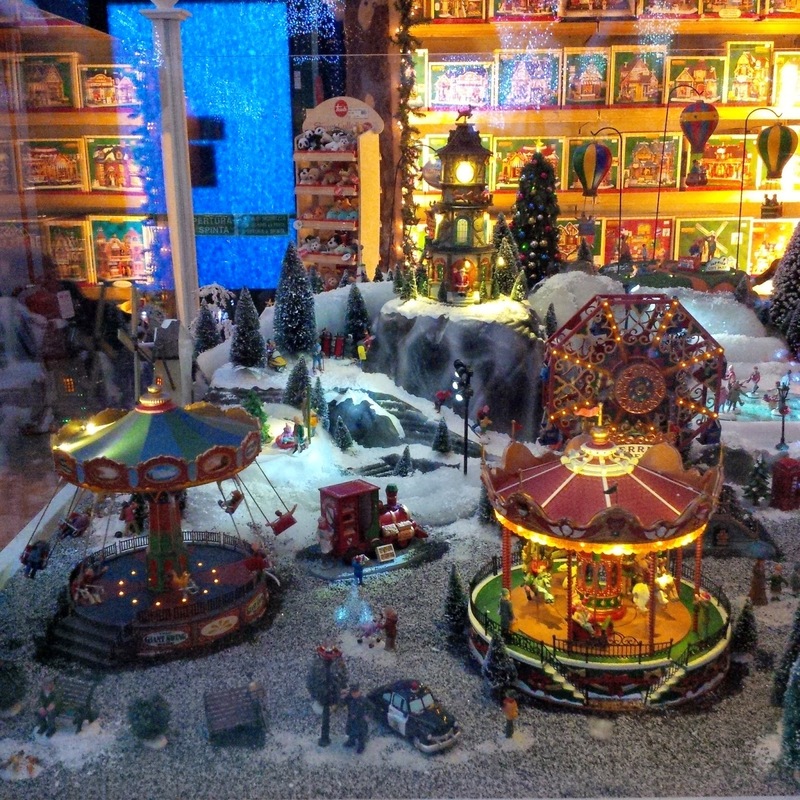 It’s not unusual to see Christmas departments opening their festive doors in the large shopping centres three or even four months before the actual event. Then, it is Christmas galore on all fronts, with Christmas music pumping on the shops’ hi-fi’s, piles of Christmas stocking fillers taking all available shopfloor space and large maddening crowds of not so cheerful shoppers out and about in an exhausting search for that perfect but elusive gift. Even the recession of the past few years didn’t quite put much of a dent in the Christmas shopping frenzy that happens on the streets of London at least from the beginning of November onwards. After months of shopping, listening to a catalogue of Christmas music spanning several decades and stuffing our faces with mince pies, I always had the same prevailing thought come Christmas Day: ‘OMG, all this was for one day!?’. And before we knew it, this day was over all too soon with nothing to cheer us up for the next couple of months of winter gloom but the huge January sales starting in the early hours of Boxing day. 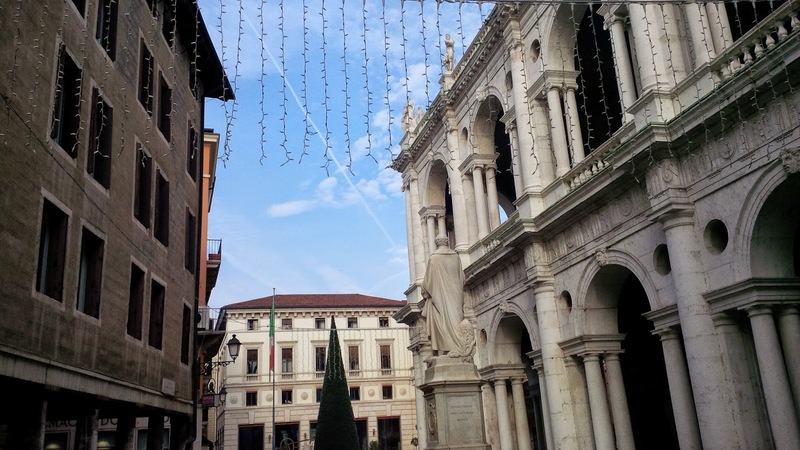 So, it is quite refreshing to experience the much slower, thoughtful and much less frenetic approach to the run up to Christmas in the Italian town of Vicenza, where we currently live. The Christmas lights here are not on yet! Hey, they are still being put up. I have been reading my friends’ Facebook updates about Christmas partying and Christmas shopping in London for a good few weeks now. I am happy to report that I haven’t started feeling Christmassy yet. This could be because the Italian sun is still shining and even though Italians are already deeply burrowed in thick jackets complemented with chick scarves, I find the weather still quite balmy with the temperatures easily reaching 16-18 C during the day. Or it could be because most of the shops are not yet decorated and you would be hard pressed to come across a large throng of people doing a Christmas shop in town. Most are simply enjoying their espressos and their brioches in the elegant cafes. And, most importantly, they have time to chat. 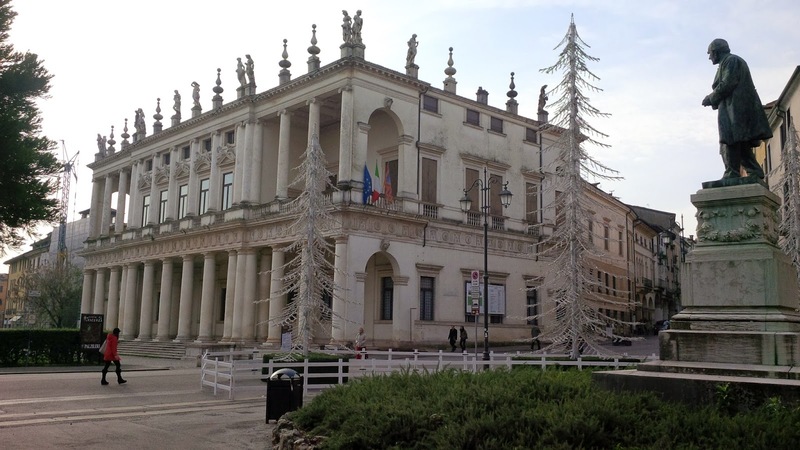 Like the sweet old lady who admired my baby and then told me about the wonderful Nativity scenes they put in the churches dotted around Vicenza. When I asked her if I can see any yet, she replied: ‘No, it’s too early. Wait until December!’. 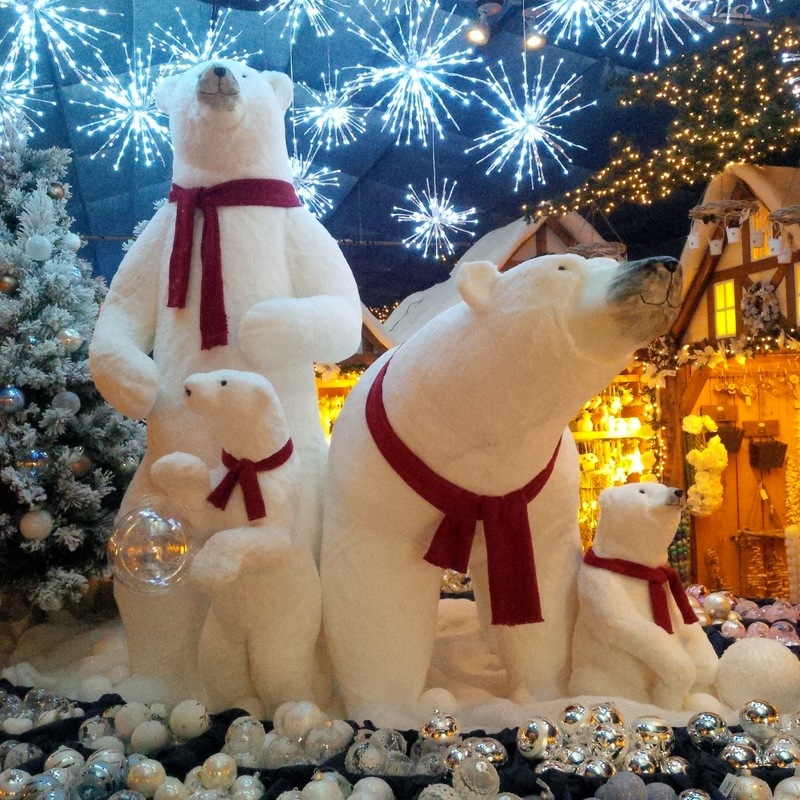 Yes, I admit it, my favourite large shop Viridea – a happy mixture of a garden centre, art and craft, cooking and pet shop – had its Christmas department open at the end of October with the most exquisite of displays. 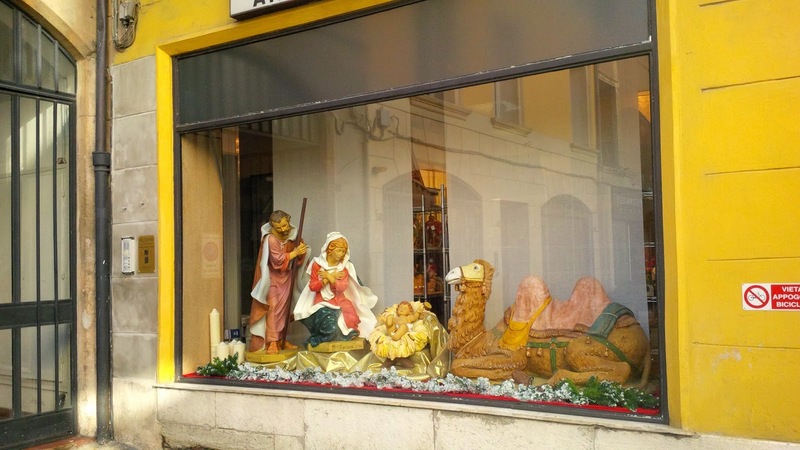 But all the other shops in town are just now starting to follow suit with some humble decorations or a Christian-themed display. I particularly love this one. 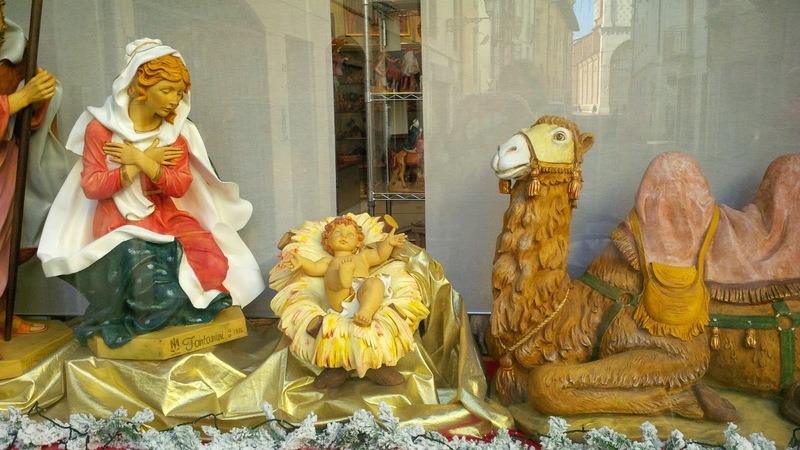 I think the camel is splendid and as for the blue-eyed, flame-haired baby Jesus, well, believe it or not, there are lots of red-haired people in this part of Italy. 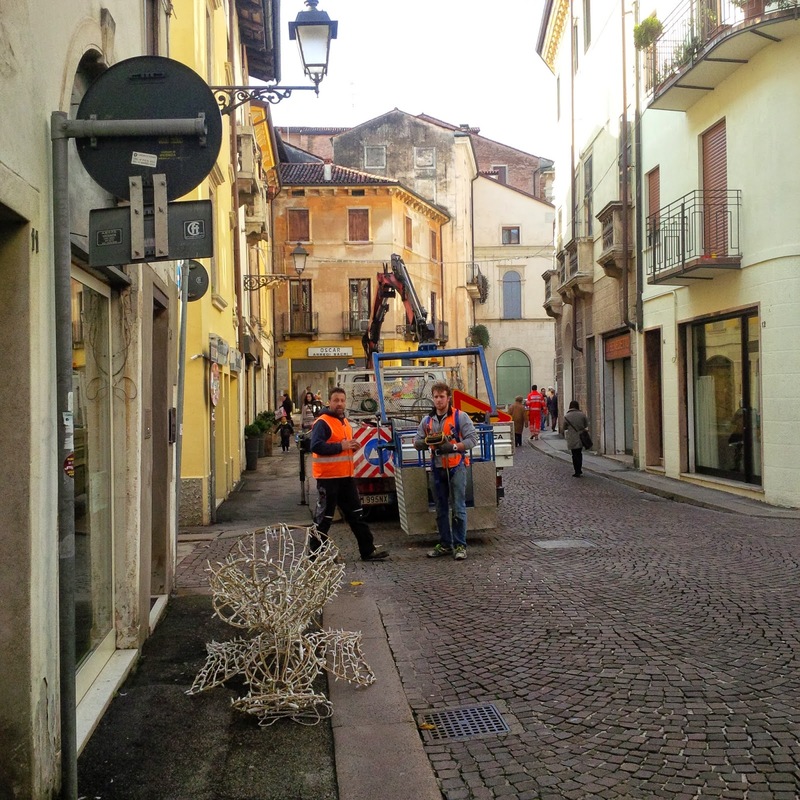 In my walks around Vicenza’s centro storico on most days I come across other visual reminders that Christmas is getting close. Usually though they are quite subtle and not in your face at all. 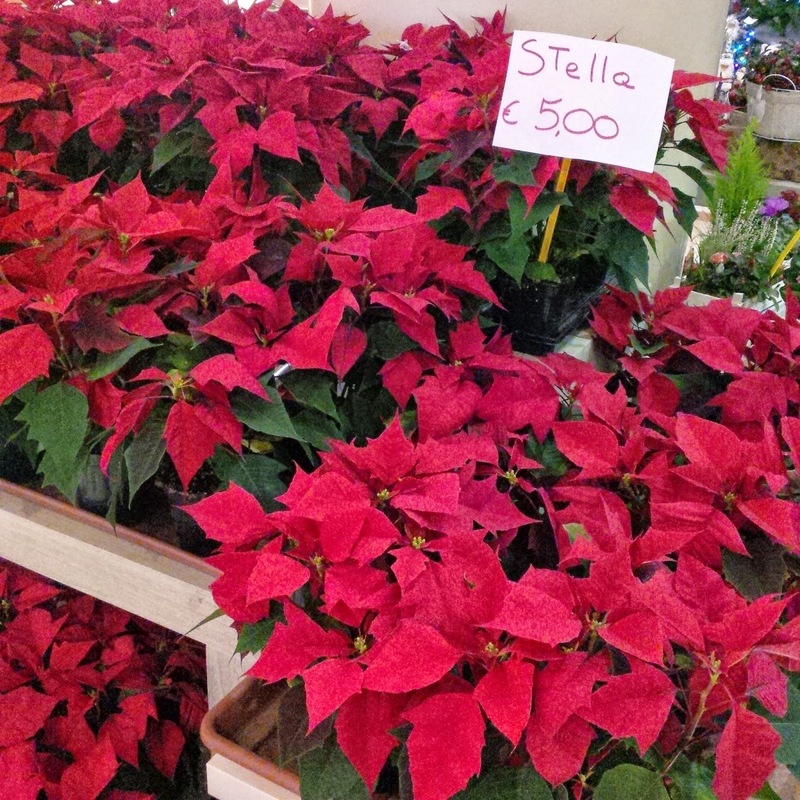 Like this little display of poinsettias. 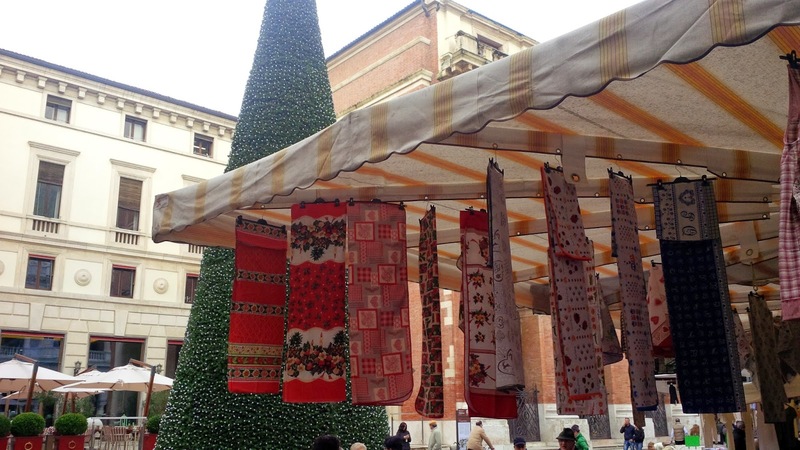 This Christmas-themed display of table covers and bedspreads, that I admired at the market held twice a week in town. 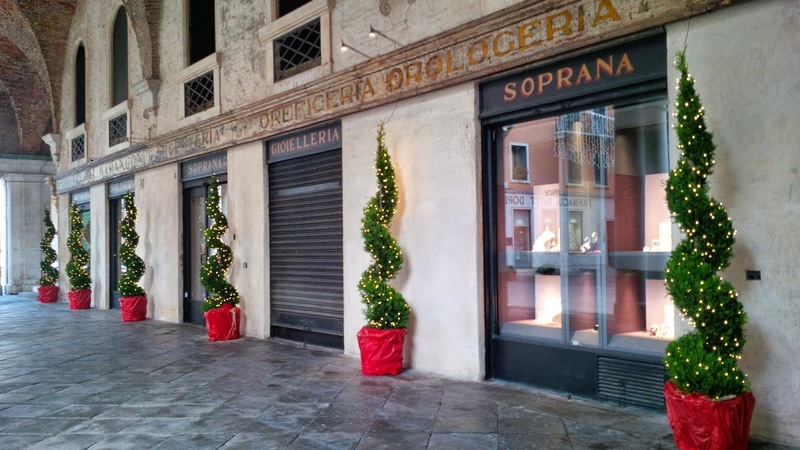 As well as these abstract Christmas trees by a lovely jewellery shop in Palladio’s Basilica. I haven’t done any Christmas shopping just yet! When I eventually do it though, I think I will let myself be seduced by the array of wonderful Christmas toys I’ve seen in a couple of shops. They have nothing of the plastic multifunctionality associated with developmental toys these days. They just inspire wonder and bring back the magic of Christmas, that for me somehow has been lost. This carousel would be a great future heirloom present for my baby. 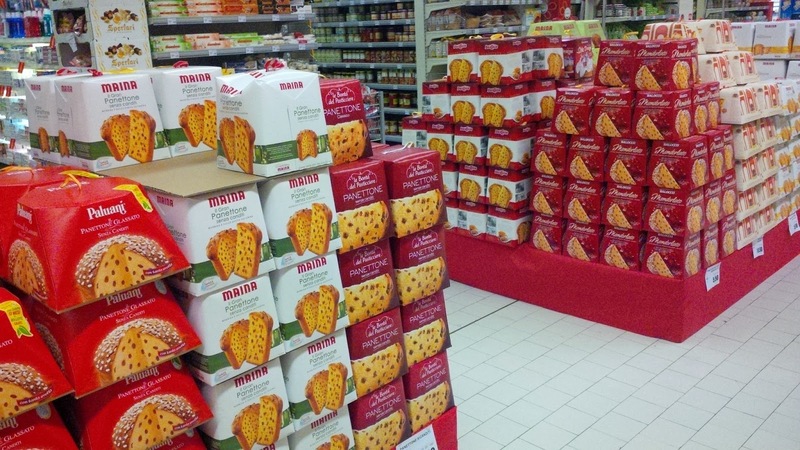 … as it is much easier to fit in a suitcase rather than boxes of scrumptious panettone like these. 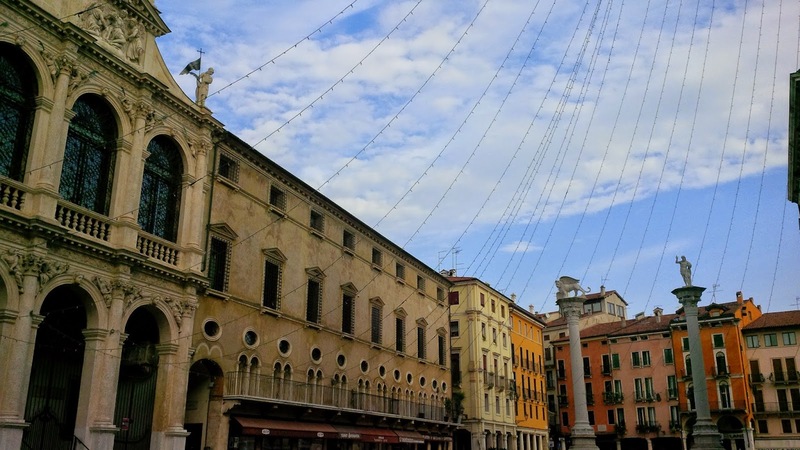 Talking of Christmas magic and excitement, though, I had a moment of pure wonder only a couple of days ago, when, upon reaching Piazza dei Signori – the main square in town – I realised it has been covered with a web of lights that climbs all the way up the tall watchtower. It’s stunning! And I can only imagine how amazing it would look once the lights are on. I wonder how they managed to hang the lights so high up. It must have required a real effort so as not to tangle the many different strings. 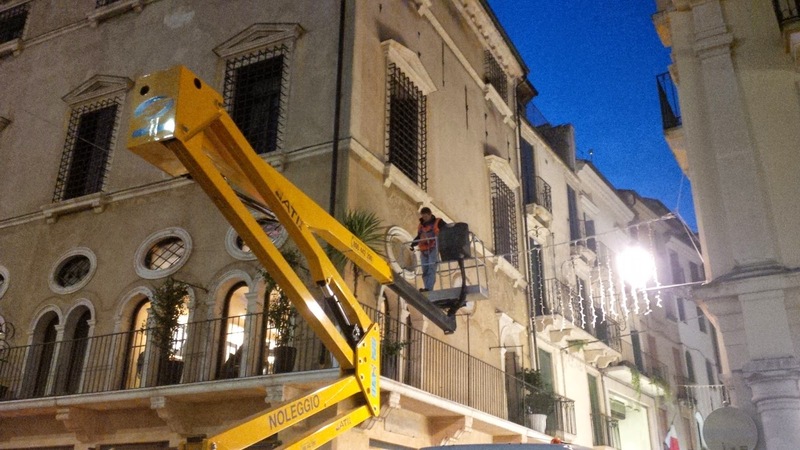 … and once early in the night. 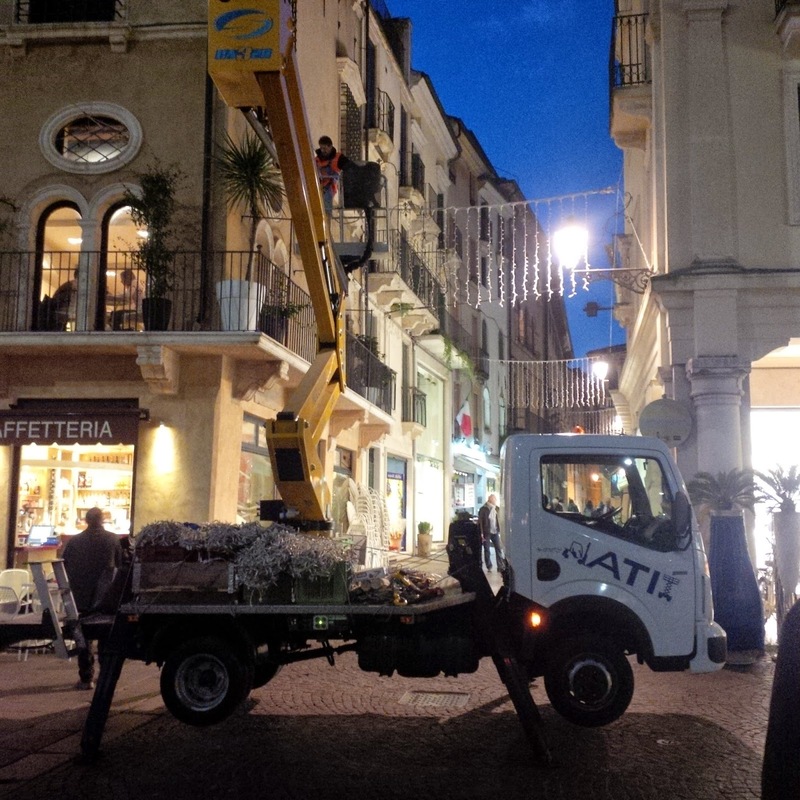 It must be so satisfying adorning your town with curtains of Christmas lights like this one. Have a wonderful run up to Christmas! Be merry and enjoy! 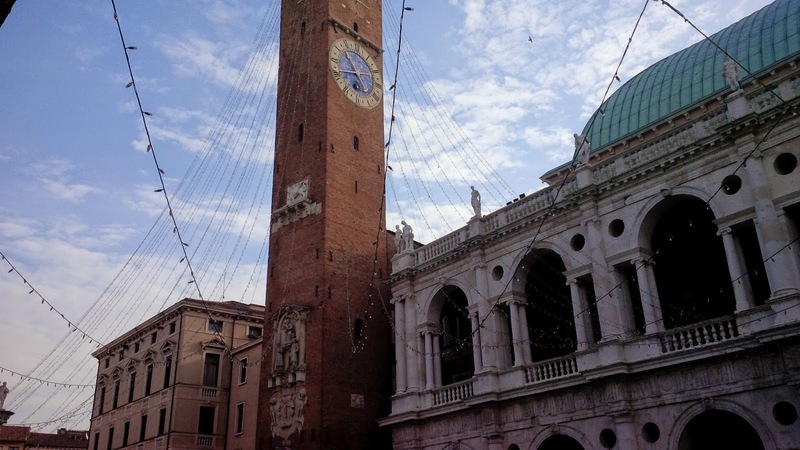 And don’t forget to come to Vicenza to experience it all the quietly magical way.